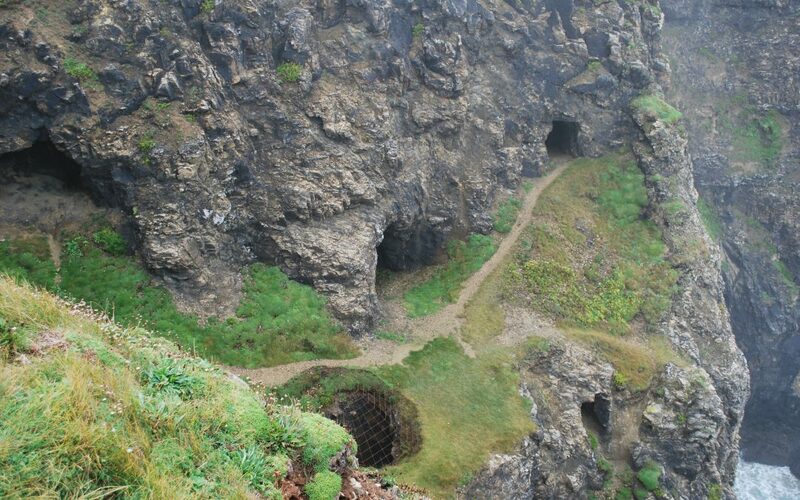 An exciting new collaboration involving two Cornwall Mining Alliance members aims to study ancient mine workings in the cliffs at Droskyn, Perranporth. Last year the University of Exeter, Camborne School of Mines and Perranzabuloe Museum, together with the Parish Council, formed the ‘Time and Tide’ group, which has been highlighting the rich and valuable mining heritage of this coast. The group now hopes to secure National Lottery Heritage Funding to carry out a detailed study of this fragile site for the first time. It is planned to use a combination of traditional archaeology and innovative laser scanning to map and recreate these fascinating workings, which may prove to be Cornwall’s oldest surviving mine. If funding is successful, the results of the survey will be modelled in the museum so that the public can appreciate this unique and important site in a safe environment. Although it is generally believed that mining of Cornwall’s rich mineral resources has a deep history, the reality is that no physical sites of prehistoric extraction have been identified. Evidence of medieval and post-medieval tin stream-workings is known and in recent years scientific studies of Bronze Age artefacts have now shown that both Cornish tin and gold were exploited from an early date. But this leaves a persistent question-mark over the earliest mining of Cornwall’s copper ores. Visitors to Perranporth are largely unaware that the massive rock arches of Droskyn that flank the beach and feature on postcards are not natural formations but instead the inner workings of ancient and historic mines exposed by increasing coastal erosion. At Droskyn Point, just below the crest of the cliff is a group of precarious mining galleries with distinctive low, rounded profiles and tool marks covering their surfaces. Based on these features, expert opinion now suggests the site is an exceptional survival of mining using the pre-industrial technique of fire-setting. Even the name of the site is shrouded in antiquity and the project has adopted ‘Vugh an Vlounder’, one of several variations. The Time and Tide group is now preparing a bid to the Heritage Lottery Fund (HLF) for a project to investigate Vugh an Vlounder, starting in early 2019 under the title ‘Ancient Mining in a fragile Cornish cliffscape: digitally recreating the inaccessible’. The aim of the project is to investigate and record the site and then use the data gathered to digitally recreate the mining galleries in the museum at Perranporth. Using specialist state-of-the-art 3D laser survey technologies and geophysics to survey the site and then archaeological excavation to investigate and date the site will allow it to be reconstructed three-dimensionally using VR (virtual reality) within a new display at the museum. The project will combine the technical and academic expertise of Camborne School of Mines and the University of Exeter, the professionalism of Cornwall Archaeology Unit and the creative skills of Falmouth University. It will also draw on deep-seated local knowledge of the cliffs and mining. Rendering Vugh an Vlounder digitally ‘visitable’ will give access to the site to all ages and abilities in a safe environment and also counter the continuing loss of heritage through coastal erosion. The future of the project depends on funding. A condition of Heritage Lottery Funding is that the project obtains match-funding from other sources, which can include contributions-in-kind, as well as cash donations. Perranzabuloe Museum, which is an accredited volunteer-run charity, has set up a fund for the project and welcomes donations (small or large) from individuals and companies interested in supporting this exciting project and helping to secure HLF funding. Donations can be made by BACS to Perranzabuloe Museum Trust (sort code 30-98-76, account 01380427 – please mark for V&V project). The Museum will maintain a register of donors so that recognition can be given during and after the project. 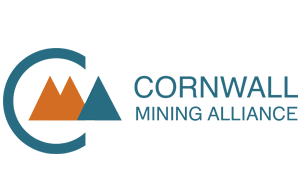 Article submitted by Dr G Juleff, University of Exeter.